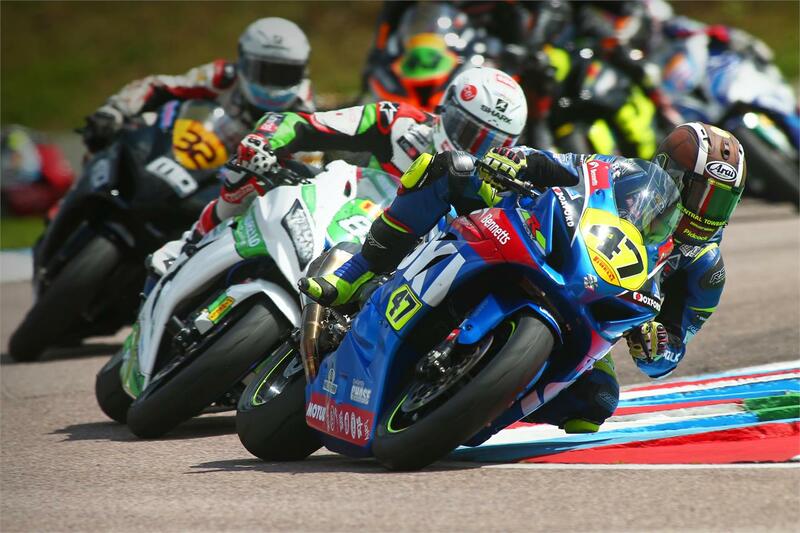 Cooper also made a wildcard appearance in the British Supersport class onboard the team’s GSX-R600. He qualified in ninth place, but a problem on the warm-up lap meant he had to start from pitlane. He recovered to 11th. In qualifying for tomorrow’s opening British Superbike race, Sylvain Guintoli posted the 14th quickest time on his first ever visit to the super-fast circuit, while Taylor Mackenzie will start from 18th on the grid. “I’m disappointed really, in the end we ran out of tyre – it’s worn down to the canvas. We all had a few turns at leading, then Danny [Buchan] started to edge away. I passed [Michael] Rutter and caught him back up, but with about five laps to go, every time I shut the throttle, the rear kept coming round on me and I struggled to get into corners. It’s frustrating because I feel we could have won the race, and should have won. The bike’s been working well all weekend, the speed’s been good and I’ve been comfortable. We’ll make some setup changes tomorrow to try and help with tyre life, and hopefully go one better.